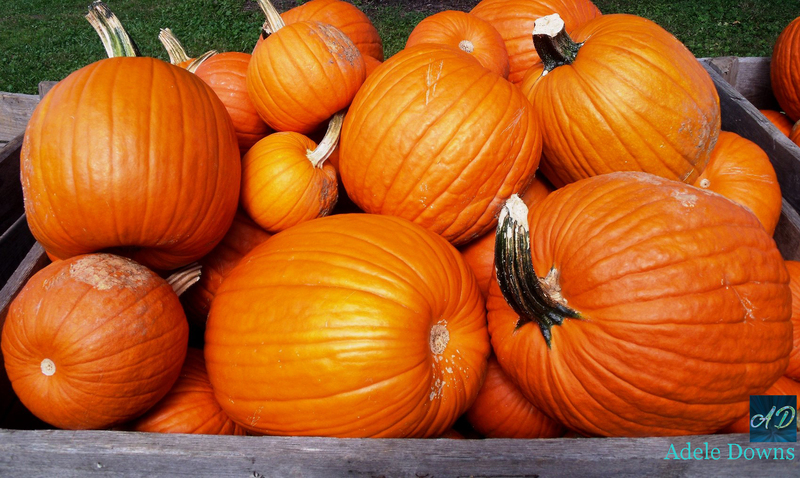 Looking for a fun Halloween read? My contemporary romance novel with paranormal elements LIP SERVICE has received excellent reviews and is available in both ebook and print formats. Buy The Book at All Romance eBooks 50% off Rebate Today Only! I’ve been busy promoting my new release LUXURY MODEL WIFE, but don’t want to neglect my backlist; especially my fun contemporary romance novel with paranormal elements LIP SERVICE, which is a perfect Halloween read. The book has received excellent reviews and is available in both ebook and print formats. Welcome to Paranormal Love Wednesday, one stop in a fun blog hop featuring paranormal stories. If you like books about werewolves, vampires, gargoyles, and ghosts like meddling Aunt Ada in LIP SERVICE, this blog hop is for you. 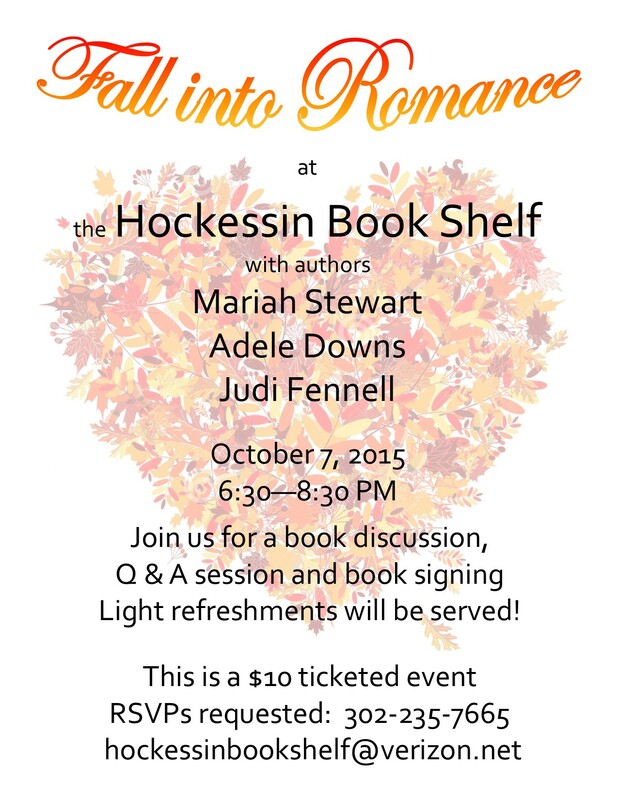 Adele Downs will sign copies of LIP SERVICE at the Hockessin Book Shelf tonight, 7 October, in Hockessin, Delaware. If you live within driving distance, join us! There will be wine and appetizers…and wine…and lots of wonderful books. 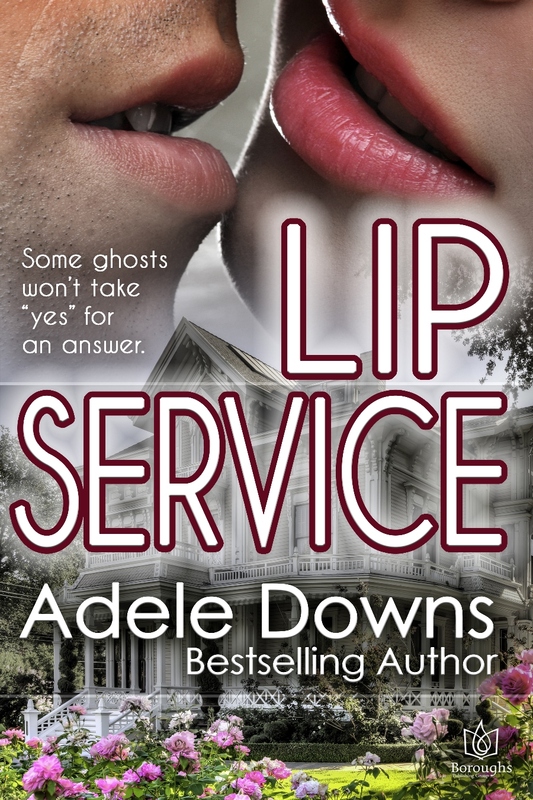 LIP SERVICE by Adele Downs, Blog Tour Contest Winners! Congratulations to the prize winners of Adele Downs’ LIP SERVICE blog tour hosted by Bewitching Book Tours. We had over 2,500 Rafflecopter entries for the contest and appreciate your support. Thank you! Each winner will receive an email regarding prize distribution. If you haven’t picked up your copy of LIP SERVICE by Adele Downs, what are you waiting for? Linen tea towel with a saying meant especially for readers. An Amazon Top 100 Western, Western Romance, and Short Romance. NATURALLY YOURS is a 2015 Award of Excellence finalist. 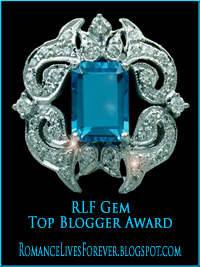 LIP SERVICE Blog Tour, June 8-July 6, Free Contests, Win Prizes! Join the tour and enter to win free prizes via Rafflecopter! Share the tour on social media to be eligible. Offered is an Amazon gift card, a fun tea towel with a quote for book lovers, 2 copies of award-winning NATURALLY YOURS by Adele Downs and 2 copies of Amazon Top 100 Western KISSING HER COWBOY by Adele Downs. Thank you Library Journal for reading and reviewing LIP SERVICE and loving it! I’m thrilled the book was selected. Linda Anderson, aka “Legs,” and Jack Harris have been dancing around each other since they made mud pies together as children. Only one thing could stand between them: Legs’ Aunt Ada. Once Ada died and left her house to her niece, Jack decided to make his move. Unfortunately, Ada is not as gone as he thought, and she is not exactly pleased with what has been going on in her bedroom. While there’s certainly enough material here for a longer story, this novella zips along. One can only hope for a sequel with more of Ada’s backstory. 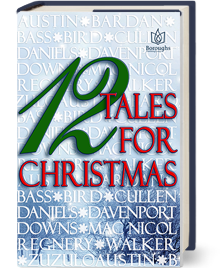 Verdict: A quick ghost story from Downs (Naturally Yours; Santa to the Rescue) that is perfect for passing the time on your way to your vacation.—Emily Thompson, Univ. of Tennessee at Chattanooga Lib.